Hotel pick-up between 6.30 and 7.30 am, or collection from meeting point at 7.15 am. Spring to avoid crowds or summer to enjoy the beach. We are comparing 2-Day South Italy Tour from Rome Prices from leading ticket suppliers and Try to find you Cheap tickets prices on the market. 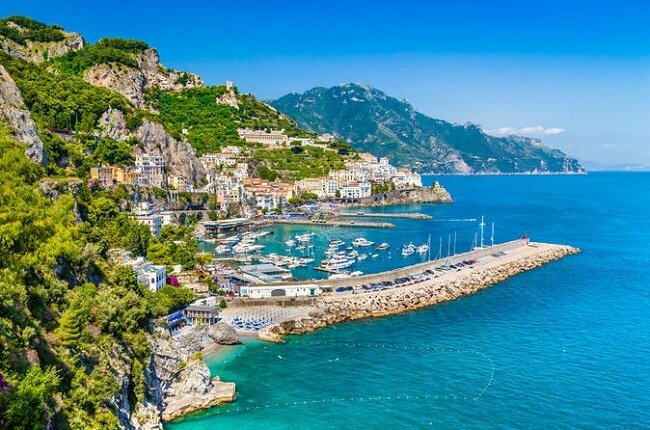 Enjoy 2 full days of sightseeing in Southern Italy, visiting the stunning Mediterranean coastal town of Sorrento, Cruising to the Island of Capri, digging up history in the ancient Roman city of Pompeii and sampling delicious pizzas in the heart of Naples. On Day one you will be collected from Central Rome and begin your overland adventure with a guided walking tour of Central Naples, passing the San Carlo Opera House, Royal Palace and other major landmarks. Later you'll visit the remarkably well preserves City of Pompeii, learn how the city was hidden beneath volcanic ash for nearly 2,000 years ago before travelling to Sorrento where you will spend the night. Wake up bright and early for breakfast on day two and cruise to the Capri, enjoy a boat trip to the Blue Grotto and free time to discover the island. In the afternoon you'll return by ferry to Sorrento and continue to Rome by coach. Ideal for anyone who like to travel stress-free with a pre-organized tour. This overnight trip should appeal to people with a range of interests. The tour will include visits to historical sights, opportunities to taste typical Italian foods, and free time to explore independently. Great for solo travellers or small groups. Your Experience With 2-Day South Italy Tour from Rome? Take a 2-day, 1-night tour from Central Rome along the coast to visit a few of Southern Italy's gems, including Naples, Pompeii, Sorrento and Capri. Visit the birthplace of pizza, a UNESCO world heritage site, picturesque seaside towns and the mysterious blue grotto. Travel stress free on an air-conditioned bus accompanied by a professional guide. What 2-Day South Italy Tour from Rome Includes? Round trip transportation by coach from Central Rome and hotel pick-up/drop-off. Overnight accommodation in Sorrento (4* Hotel). 2 x Lunch, 1 x Dinner, 1 x Breakfast. Entrance fees to Pompeii and the Blue Grotto. Leave from Central Rome – walking tour and lunch in Naples – visit to Pompeii – overnight in Sorrento – boat trip to Capri and Blue Grotto or free time in Sorrento – return to Central Rome. Don't' forget to charge your cameras for this tour because there will be plenty of photo opportunities. To avoid missing out on any of the tasty Italian style meals make sure you inform your tour supplier of any dietary restrictions. Travelers Reviews about 2-Day South Italy Tour from Rome? The 2-day south Italy tour gets most of its reviews from Viator users who have given it a .45 out of the 5-star average score. Get Your Guide has fewer reviews but an impressive 4.9 out of 5! Travellers say that the tour is well organised. There are a lot of activities packing into just 2-days but comments say that the tour did not feel rushed. Travellers point out that this is not a budget option but defiantly worth the money. Paper or mobile tickets accepted. Individual cancellation policies can vary, to ensure a full refund cancellation should be made at least 7 days in advance. Between November and March the tour will not visit Capri Island, there will be free time in Sorrento instead. Itineraries may change due to severe weather conditions. Please bring comfortable walking should and inform tour operator of any dietary requirements. Meeting Point: Viale Bastioni di Michelangelo 21, Central Rome, or pick-up from central hotels.